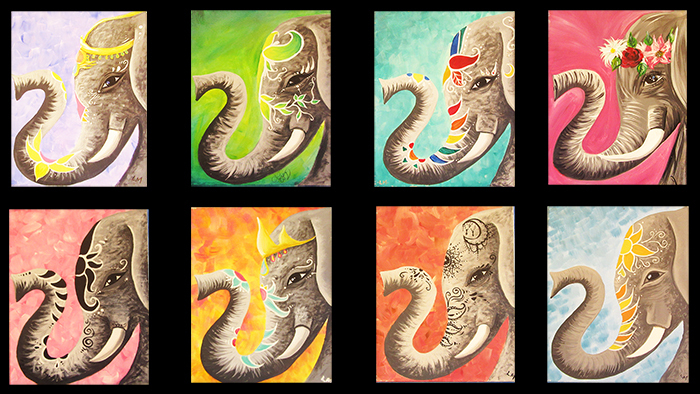 Come paint your own 14 x 18 elephant or bring your partner and paint the reverse so the trunks form a heart! You choose the background colors and designs! 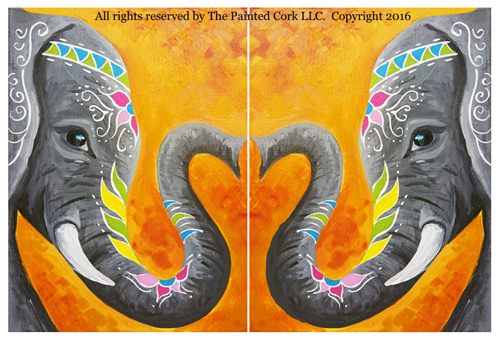 Please let us know if you would like a "reversed" elephant for your partner by stating so in the "Comments Box" at check out.